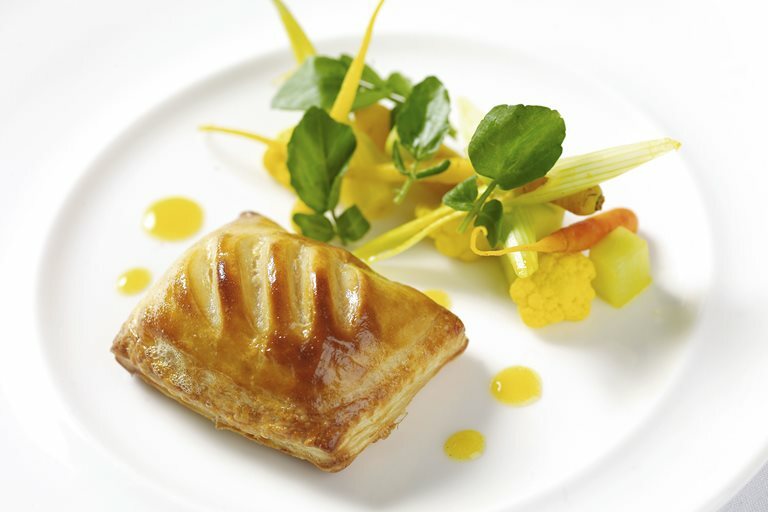 Lisa Allen is famed for this rabbit and leek turnover recipe, having showcased it on BBC television series, Great British Menu, in 2010. The pastry and the piccalilli can be made ahead. This delicious rabbit recipe mingles the flavours of the rabbit saddles with Cumbrian ham for a robust, meaty treat.